We are a locally owned company with both Dosha Salon Spas (six locations) & Aveda Institute Portland locations (two campus locations). Our Managers create an atmosphere that insure both employees and guests are comfortable and happy. You make the difference! We believe in growth for our technical and leadership staff. Monthly meetings are complete with business & professional development. We are a solution based company and you'll have direct access to the leaders of the company. If you view a problem as an opportunity, this may be your future home! Listed below are positions found in our leadership structure. We have designed our “Leaders in Training” positions with the intent for you to grow within our company infrastructure. While accomplishing your positions duties, we have also designed a 12-18-month training curriculum to allow you to learn the beauty industry, our culture, and leadership expectations. Our managers are the core to upholding our culture and infrastructure. We believe their personal & professional growth is critical to our overall team success. Managers can look forward to an intense three month certification course, as well as, annual advance education. Our manager’s should have a strong understanding of the beauty industry, company culture, and how to effectively lead a team. Your success is our success! iPad With Specialized Software. Tools at Your Fingertips. Ray Motameni, co-founder of Dosha Salon Spa & Aveda Institute Portland, has been a leader in the industry for over 25 years. He is a catalyst for the direction of our core values, mission, and the overall projection of our companies. His persistent drive for excellence has created a foundation in both companies that allow our team members to thrive; thrive in both personal and professional growth. Ray’s entrepreneurial spirit goes as far back as running one of the first “Portland food carts” back in 1989. 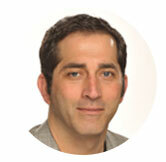 This initial experience and years spent in the restaurant management business, Ray created Salon In Vogue in 1991. It was an intimate salon with just 4 styling chairs. Throughout the next 25 years, numerous changes in the beauty industry, multiple economic climbs and downturns he is proud and thankful to be standing with 150+ team members strong. 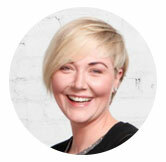 Kimberly Johnson is COO for Dosha Salon Spa and partner of Aveda Institute Portland. She has had the opportunity to see success of over 200 employees and 1,000+ graduates in the past 15 years. Passionate about the beauty industry, Kimberly also serves as Vice Chair for the Private Career school board in Oregon, Salon/Spa Advisory Council member for PBA, and State Captain for AACS. Throughout the years, she has been invited to speak to various government boards about the importance of our industry both in Oregon and even Washington DC. Kimberly strives to connect students, professionals, and government officials to educate and come together on important topics that affect our industry. Kimberly is proud to serve our beauty community. 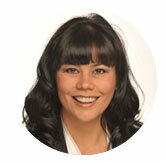 Lisa has been with the company since 2011 bringing with her 10 years of previous management experience. As the District Manager of Dosha Salon Spa, she leads the management team throughout the six Dosha locations. Lisa has been a key leader in defining many of the Dosha programs and opportunities present in the company today. In addition, Lisa has reached out to our local beauty & wellness community, as an active Advisory Board member for Anthem college. She is a shining example of our solution based culture. Constantly inspiring and inspired by our teams, our culture, and what we can do together.